A pendulum on a stand is a great way to avoid interference in your reading and to display one or more pendulums in a collection. A stand for your pendulums is also an ideal way to store your tools when not being used. Some people believe the only way to get accurate readings from a pendulum is with the pendulum suspended from a cord or chain and held between your thumb and forefinger no less than four or more inches above the pendulum. The excess chain or cord is enveloped in your hand or wrapped around your other fingers. Some diviners argue this kind of pendulum use is easily manipulated accidentally. To avoid any kind of interference, some practitioners opt to use a pendulum stand. Using a pendulum on a stand can have limited applications. However, those who opt for a stand also use charts for their readings. You can purchase many variations of charts for specific uses. Place the pendulum stand on a level surface, such as a table. Suspend your pendulum from the stand. Slip the selected chart underneath the pendulum so it's centered. After you've completed your introductory meditation, prayer, mantra or chant, you can begin asking questions. The pendulum will be drawn to the kinetic energies in the section of the chart when answering your questions. Continue asking questions until the last one is answered. When finished, set your pendulum stand in its storage area until you need it again. A great way to understand how a pendulum uses kinetic energy is by suspending a metal or crystal pendulum from the stand. Many times you can find ornate stands often hand-carved and made out of wood, oak being the most favorite choice. An arched metal stand may interfere with the energy. The pit and the pendulum is a popular example of the energy behind the arc of a swing pendulum. In this example, crafters suspend the pendulum from a stand. It's important to note that in this instance, the pendulum is metal. Pendulum crafters use metal because it's believed to be the best conduit for kinetic energy. Underneath the pendulum is a bed of sand that has a very fine grain in order to minimize the amount of friction whenever the pendulum moves through it. You want to get the pendulum to leave a trail through the sand. This action of the pendulum is known as writing. 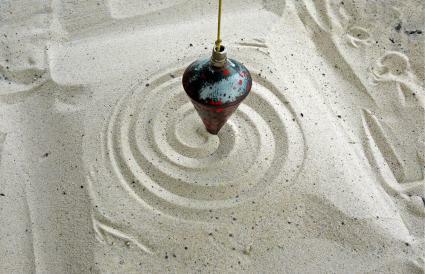 The patterns the pendulum leaves in the sand are geometric and either become smaller or larger with the momentum and arc of the pendulum's swinging pattern. You can use pendulums in your home to assist in balancing the yin and yang chi in each room. You can place a pendulum in your fame and recognition sector or money sector to bring powerful energies to this area of your home and life. There are two main uses for pendulums. Each uses a different kind of pendulum. The first use, most widely known, is the pendulum that is responsible for the oscillation in clocks. The oldest use of a pendulum attached to a stand is the gridiron pendulum. British clockmaker John Harrison created this pendulum during the 1720s. The gridiron pendulum improved the accuracy of clock pendulums. People use the pendulum for divination, spiritual meditations, and feng shui remedies. You'll want to use a brass or wood pendulum when conducting radiesthesia readings (measuring energies) for harmful radiation pockets, ore deposits, and other energy sources, even diseases in the human body. You may also use a pendulum-like a dowsing rod to locate water. 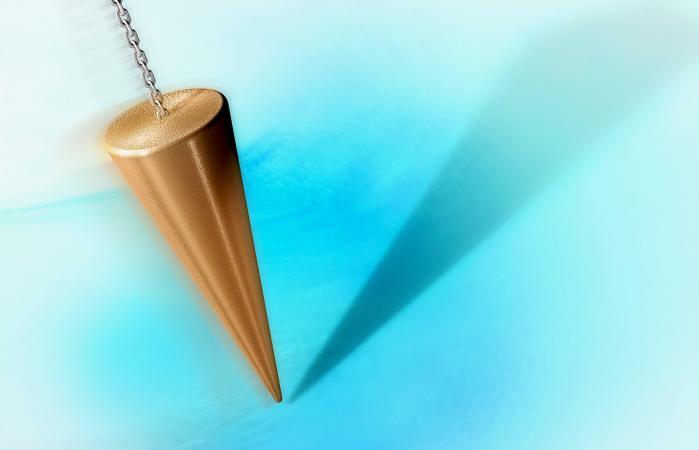 You may not find a wide range of choices when it comes to finding a stand for your pendulum. You can purchase a multi-pendulum stand designed to display several pendulums. This might be a good choice if you have a collection of pendulums. Even if you only have a few pendulums, this kind of stand accommodates a growing collection. A stand is one of the best ways to store your pendulum(s). The stand allows your pendulum to hang full length from the stand and keeps your chain or string from getting kinked or knotted. The stand also allows you to enjoy your pendulum when not in use. One thing to remember is when your pendulum isn't in use, it still attracts energy. That energy isn't docile. The right kind of stand for your pendulum is another way to protect your pendulum and the kinetic energies it transmits and receives. A pendulum on a stand is a powerful energy tool whether it's in stored repose or is used in conjunction with the stand and charts. By using a pendulum stand you ensure your readings are accurate.